It is a consensus among majority of Manchester United fans that the way the club plays is not pleasing to the eye. Jose Mourinho, the Man United manager has come under pressure to alter the playing style of the team, though the Portuguese tactician will defend himself and philosophy by saying that he has won three competitions in charge of the club. Though the United fans are pleased to have won trophies, there is still the feeling that the kind of players we have should be playing more attacking football, instead of the pragmatic style Jose has employed. On Wednesday at the Ramon Sanchez Pijuan, United had Spanish goalkeeper, David De Gea to thank for not allowing Sevilla hold any advantage going into the second leg at Old Trafford. 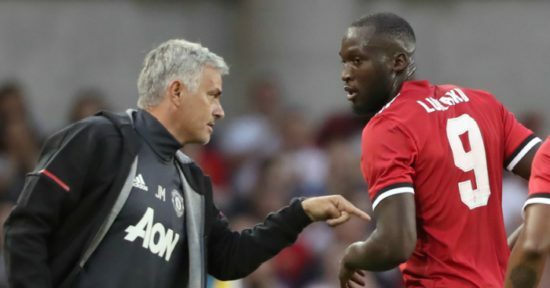 The same tactics that made Mourinho famous are starting to be the subject of criticism as a number of other top teams, especially in England take risks to go all out to win regardless of the opposition. Manchester City defeated Basel away in Switzerland 4-0 playing a brilliant attacking football, Tottenham came back from 2 goals down to draw Juventus while Liverpool blew away Porto in Portugal 5-0 with their front line of Mane, Salah and Firmino all scoring. Of all the top six sides in the Premier League, United have conceded the least number of goals (19). However, while it is good to be solid defensively, goals win games and with the attacking players we boast, Mourinho has no business limiting them. The signing of Alexis Sanchez has not had the impact needed, as Jose has struggled to find a method to fit in his attacking players.